When a crime is serious enough for the Federal Government to get involved, it's considered a federal offense. If you're facing a federal offense, you will likely be up against the full force and resources of the Federal Government. Hiring an experienced federal offenses attorney will make a huge difference. The investigations involved in federal crimes are usually very extensive. Federal prosecutors often have a light caseload and are highly skilled. Some are even known for seeking harsh sentences. If you find out you're being investigated for a federal crime, it's necessary to call a federal criminal defense attorney in Jacksonville immediately. Even if you haven't been arrested yet, it's important to have the right lawyer working for you. At Tassone, Dreicer & Hill, we provide decades of experience defending clients in federal prosecutions. Our legal team knows how to go to battle with the federal authorities to ensure you receive a fair and complete defense. If you're facing federal charges or you believe you're under investigation by the federal authorities, call our law offices immediately. These crimes are very serious and may have you facing a long prison sentence. The Federal government doesn't decide to investigate and prosecute a case for no good reason. If the government has stepped in, they believe the case is serious and they will bring an incredible pool of resources to the prosecution. Many of these federal crimes come with minimum mandatory prison sentences, which means you cannot avoid time in prison if convicted. The federal sentencing guidelines are rather complex and they aim to punish. It's important to obtain the services of a qualified Jacksonville federal defense attorney to help even the playing field. At Tassone, Dreicer & Hill, we bring decades of experience to the table with a full and knowledgeable legal team ready to help you. Our attorneys have worked within the federal system and understand how to navigate the complexity of the sentencing guidelines. We are here to help you with your federal offenses case. Call us today! When you're being investigated or accused of a federal offense, it's important to identify the key issues in the prosecution. Once your attorney has done this, they can challenge the seizure of evidence, the search of your home, computer or vehicle and even identify the computational limits of the police. Federal sentencing law is one of the most complicated types of law. At Tassone, Dreicer & Hill, we know how to navigate the sentencing law and identifying the key issues is one of our strongest skills. We understand there are exceptions to the minimum mandatory laws and we know how to ensure you get a fair trial with a complete defense. If you're being investigated for a federal crime or you've been arrested, call The Law Offices of Tassone, Dreicer & Hill today. You don't have to be arrested to seek legal counsel in a federal case. Often, if you're under investigation, a skilled federal criminal defense lawyer can help to ensure your rights are protected during the investigation. Immediate action is best in any criminal case, but especially in a federal case. 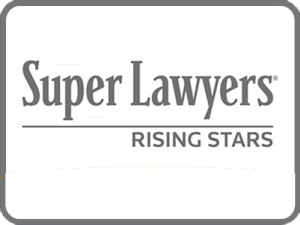 Hiring a skilled lawyer early on will help to increase the options you have for a successful defense and the opportunity for a positive result. This may include negotiating a plea, getting the charges dropped, suppressing evidence, or protecting your rights at trial. You may feel as though you are up against a wall whenever you face a federal charge. Federal prosecutors take fewer cases to ensure they can dedicate time and resources to each case. In addition, they have an extensive amount of resources at their disposal and they are some of the most experienced prosecutors in the business. 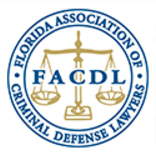 You need a seasoned federal criminal defense attorney in Jacksonville in your corner. Someone with the skills and knowledge necessary to ensure you get a fair and full defense. At Tassone, Dreicer & Hill, we know the federal law and we understand how to ensure you receive a full and fair defense. Our legal team has gone to battle with federal prosecutors numerous times. With our help, you'll be able to fight the charges on an even playing field. If you’re facing federal charges or you believe you're under investigation for a federal offense, Contact The Law Offices of Tassone, Dreicer & Hill today or call us at 904-396-3344.